It’s inevitable. One day, you’ll ask a friend where they got their latest purchase and receive the following answer: “Taobao.” With 760 million listings as of March 2013, Taobao is China’s largest online shopping site. Its name translates roughly to “searching for treasure,” but frustrated foreigners might describe online shopping more like a wild goose chase. 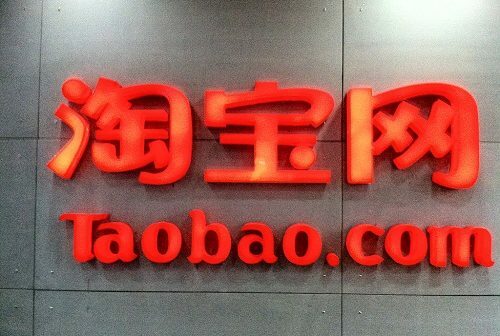 For one thing, Taobao is entirely in Chinese. Secondly, the layout isn’t exactly user-friendly with all of its tiny links and features. Thirdly, payment requires the use of online banking or Alipay, a Paypal-like service in which funds are held in escrow until the merchandise is received. Unless you signed up for Alipay a long time ago, only the former is easily accessible to foreign nationals because Alipay requires a shenfenzheng (Chinese ID). Don’t worry; with a bit of patience, you too will be doing online shopping in no time. The first step is set up online banking (turn to p42 for instructions on opening a bank account). Bring your passport and debit card to your local bank branch. Go with a Chinese speaker or say the following: wo xiang shenqing wanshang yinhang (“I want to apply for online banking”). Take a number and wait, then repeat your request to the clerk. You’ll be asked to choose a six-digit PIN for online banking and maybe given a gadget that generates random passwords for signing into your online account (we’ve never had to use this). 免费注册 (“free registration”) on the top left corner of the screen. You can register via mobile or email, though it’s moot since you’ll be asked for your number even if you choose the email option. You’ll receive a six-digit verification code on your mobile, then be asked to choose a username and password. Voila! You can now engage in rampant online consumerism. Step 1 On the Taobao payment screen above, there are options for debit cards (储蓄卡), credit cards (信用卡), QR code scanning (扫码支付), and cash/other (现金/其他). Scroll down until you see 网上银行 (“online banking”). It’s easy to miss because the dropdown menu is collapsed by default. Click on the blue characters 选择其他 (“Select another option”). Step 2 A pop-up window will emerge with all supported banks. Don’t confuse your bank’s logo with the ones at the bottom; the latter are meant for businesses. Click on the orange “next” button (下一步). Step 3 On the next screen, you’ll be asked for Alipay details that include the dreaded shenfenzheng. Skip all that noise by scrolling down and clicking on the small blue characters 登陆网银付款 (“sign into online payment”). Step 4 Don’t tick the box. Instead, click on the orange button that says 登陆到网上银行付款. Step 5 A new tab will open with your bank’s online payment site (you’ll need to install a security plug-in to use it). Enter your debit card number. Select 借记卡 (“debit card”). Click on the blue button that says 下一步 (“next”). Click 免费获取 (“obtain for free”) next to the first field; you’ll receive a six-digit security code on your mobile phone. Enter it in the first field. In the second field, enter your six-digit online banking PIN. Click 确定支付 (“confirm payment”). A little white window will pop up; click 确定 (“confirm”) again. Step 6 Congrats! You just made your first Taobao purchase; you should also get a confirmation on your mobile phone. The process is similar for most websites, including Amazon China and JD.com. 2. Choose a six-digit payment PIN. 3. Enter your debit card number and the name associated with the bank account. The latter must be entered exactly as it appears in your account. If you get it wrong more than three times, you’ll be barred from trying again for a certain amount of time. 4. Enter the six-digit verification code sent to your mobile phone. Use WeChat Wallet to pay for taxis, movies, plane tickets, and more. You can even send money to friends, which means no more awkward dinners with bills to break. Funds sent to you will sit in your WeChat Wallet balance; you can “withdraw” them to deposit them into your bank account.